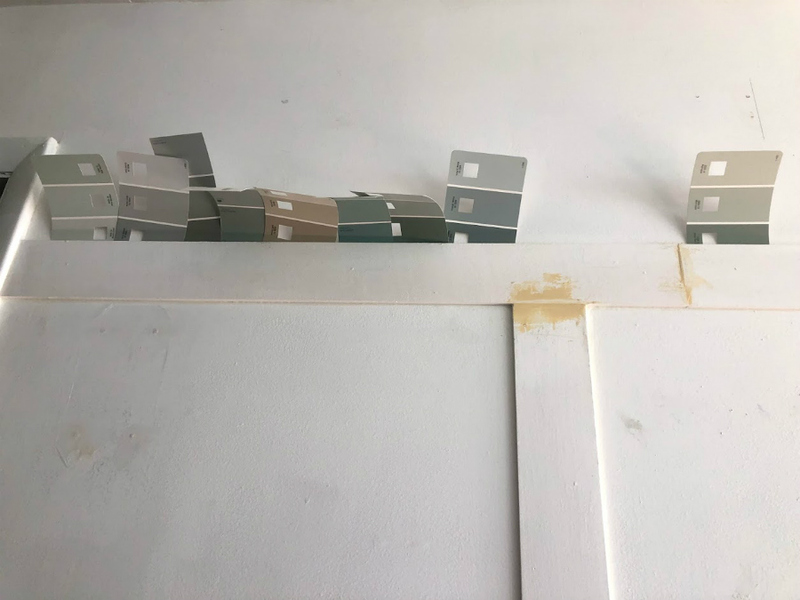 When you've only got one bathroom in your house and closet space is slim to none, you've got to think creatively and maximize what you do with the space in that bathroom. I don't have the smallest or biggest of bathrooms, but I have jam packed a ton of storage into the space. 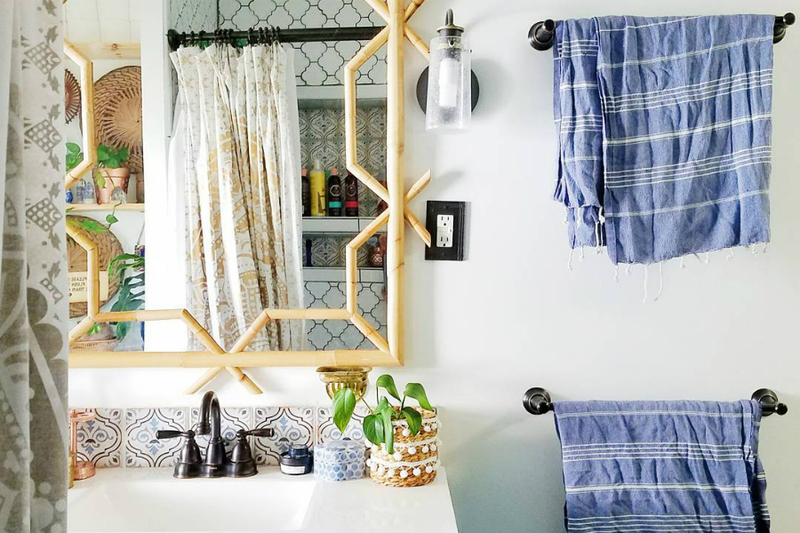 Today I want to share all of those bathroom storage solutions because even if you can't make them all work, there's ideas here that will work for any space. I don't find organizers that hang over the showerhead or use tension to hang in the corner of the rub to be very effective. They're normally not stable enough nor are they ever big enough to hold everything. If you can invest to DIY or have someone come in and put a recessed shelf into your shower area, you'll love it. Our is especially huge but even a small one (or a series of small ones will go a long way in making the space function better. Don't waste wall space on towels. A simple and relatively cheap space saver is to change out your shower curtain rod for a double shower curtain rod. Instant double duty. And then while you're at it, treat yo self to some cute towels. If your linen closet is better suited to storing things you normally keep in there. 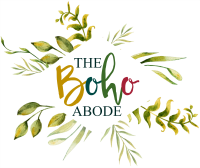 Like first aid kits, medicines (that aren't susceptible to moisture), towels, personal care products and anything else you need to store in there. Also allows you to stock up on things like toilet paper because you've got a place to put the extras. If you're really struggling with space, you likely don't have room for this tip, but I love this! I can basically become a hoarder now that I've put this cabinet in my bathroom. Even rarely used bathroom cleaning products and their back ups get stored in here because I have room for everything else. 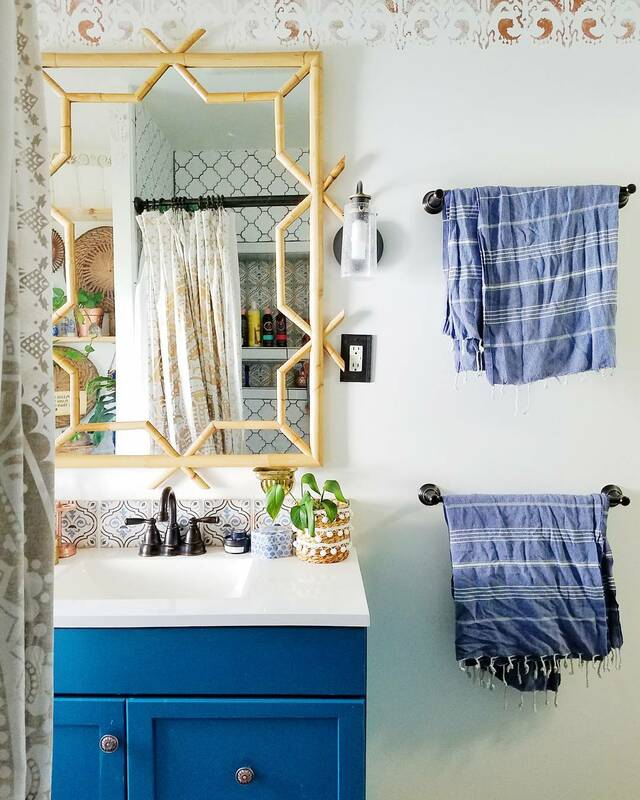 When choosing between sinks for a bathroom remodel, don't torture yourself with a pedestal sink (I guess unless you're about to implement the other 7 ideas here). Bathroom vanities have come a long was from the free standing kitchen cabinet look and there are plenty attractive ones that take up minimal floor space. Steal a little square footage above the door. Extra toilet paper rolls, a basket of makeup, folded towels all display nicely in this space since it's not a main space the eye rests in a bathroom. You can use wall space for shelves to display pretties and for all the daily essential. 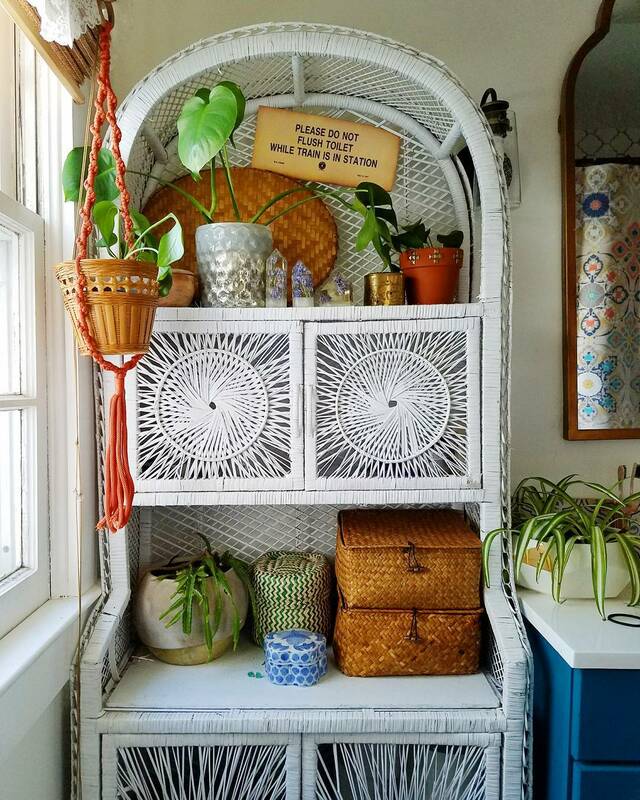 Hang a basket from the ceiling a la macrame planter style for boho storage that takes up little space. Put a basket on the floor for toilet paper/towels/laundry. 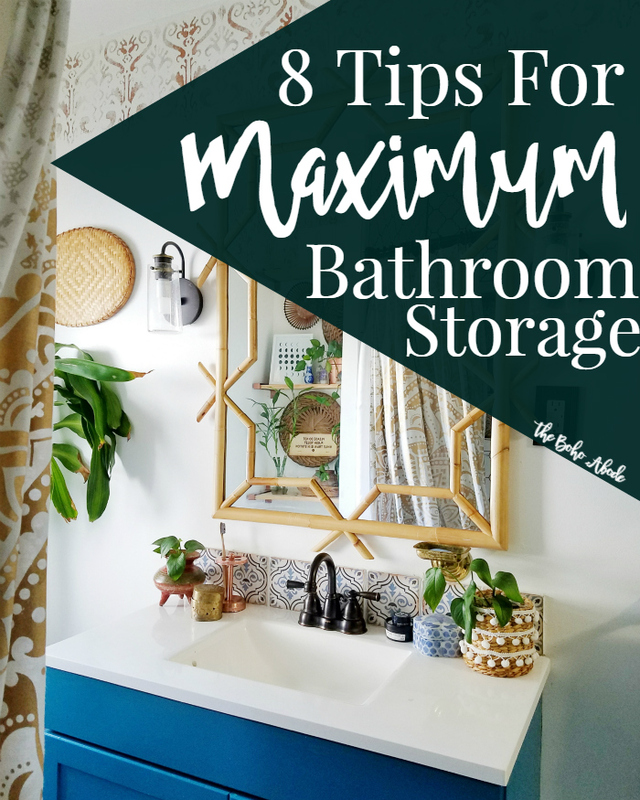 Those are my top 8 tips for creating tons of storage in a small bathroom. 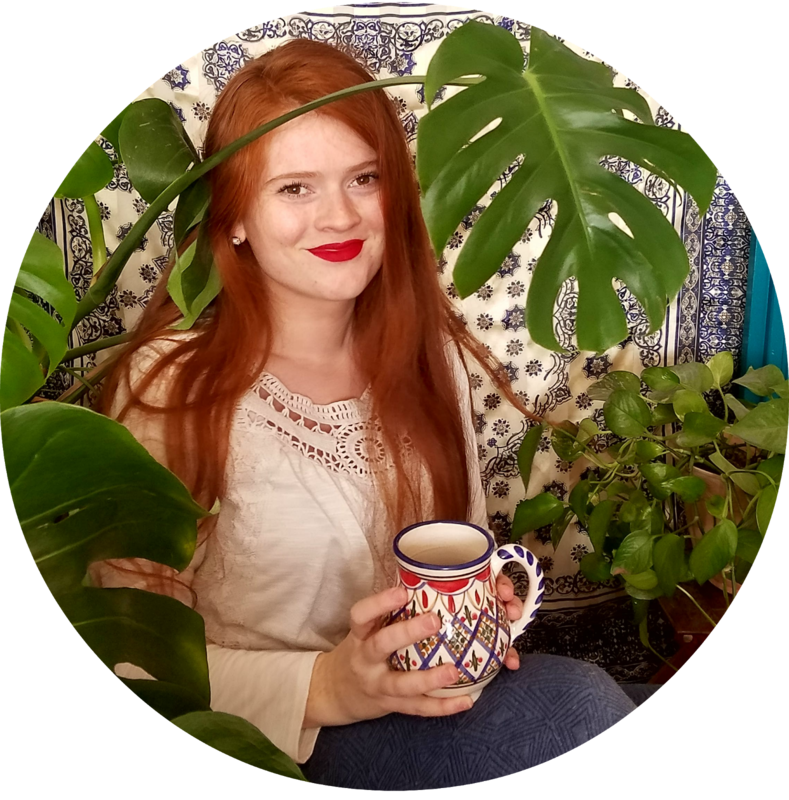 There's lots of different ways you can work these tips to fit your style and things. Let us know your top tips for bathroom storage in the comments below!